Born in Accra, Ghana, Benjamin Kwakye attended the Presbyterian Secondary School (Presec), Dartmouth College and Harvard Law School. At Dartmouth, he majored in Government (with an emphasis in international relations), spending trimesters in Arles, France, and at the London School of Economics and the United Nations Association in New York. 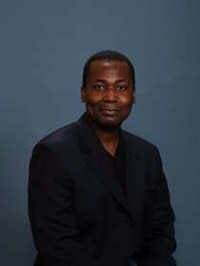 He wrote and published poetry while in college, served as editor of Spirit (Dartmouth Colleges African American Societys literary journal), and received the Societys 1990 Senior Honor Roll for outstanding leadership, distinguished service and intellectual and artistic creativity. His first novel, The Clothes of Nakedness, was published in 1998 by Heinemann as part of its African Writers Series. It won the 1999 Commonwealth Writers Prize for Best First Book (Africa Region) and has been adapted for radio as a BBC Play of the Week. After the publication of The Clothes of Nakedness, he became Resident Novelist of Window to Africa Radio and Afriscope Radio with Cyril Ibe. As Resident Novelist, he reviewed a number of African and African related titles on the air. His second novel, The Sun By Night (Africa World Press, 2005), won the 2006 Commonwealth Writers Prize for Best Book (Africa Region). His third novel is The Other Crucifix (Ayebia Clarke, 2010), winner of the 2011 IPPY Gold Award for Adult Multicultural Fiction. He is also the author of a collection of three novellas: Eyes of the Slain Woman (Anaphora Literary Press, 2011). A fourth novel, Legacy of Phantoms (Africa World Press, 2015), an epic poem, Scrolls of the Living Night (Cissus World Press, 2015), and a collection of short stories, The Executioner's Confession (Cissus World Press, 2015), are being published in 2015. He is a director of The Africa Education Initiative, a non-profit organization dedicated to promoting science education in Africa.